No, I’m not talking about your alimentary canal. When your doctor (or Doctor Mom) checks to see if your “glands” are swollen, it is your lymph nodes that are being checked—and they are not glands. 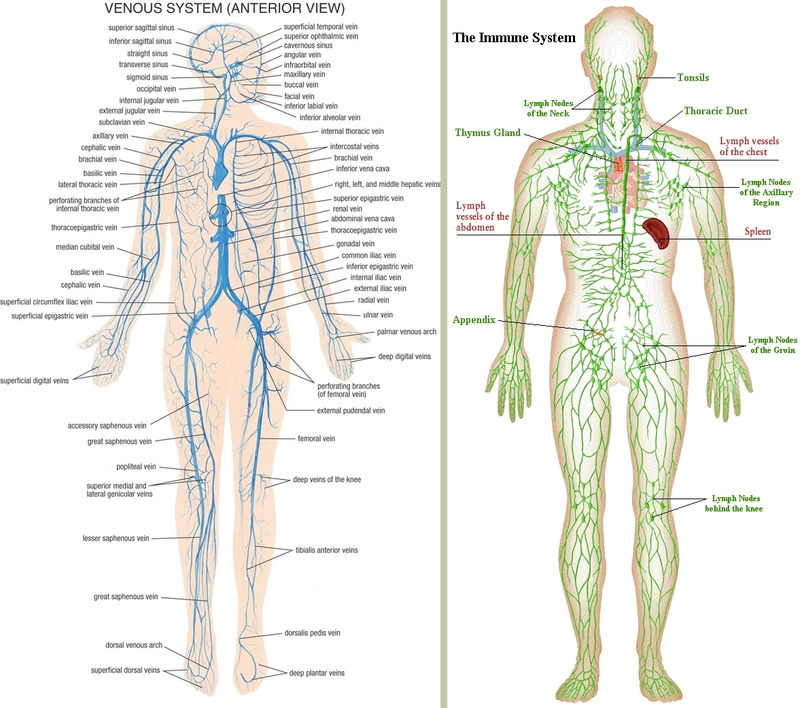 The lymph nodes, located throughout your body, are part of a lymphatics circulatory system which runs in parallel and in collaboration with your venous blood system, as distinct from your arterial blood system. So what do these lymph nodes do? They protect and defend your body by sensing, attacking, immobilizing, killing, and flushing the remains of the bad critters that have invaded your otherwise pristine flesh. 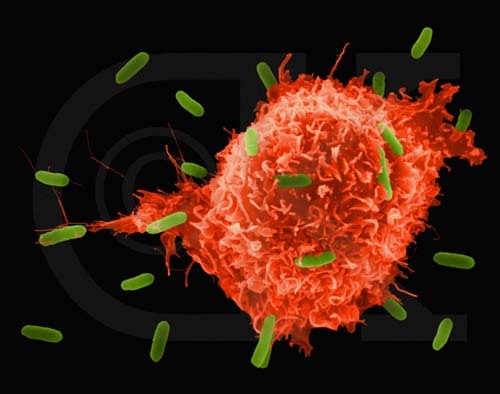 When thus engaged in dealing with the alien invaders, the lymph nodes ramp up their activities and become swollen with lymphatic fluid which contains the disease-eating organisms of your body—the macrophages (literally, big eaters) and other defensive cells. But, when the lymphatics system doesn’t work properly, bad things can happen—the sewer backs up. The result is a swelling of various tissues, a condition most commonly called lymphodema. There are other names for more serious problems associated with the dysfunction of the lymphatics system.. 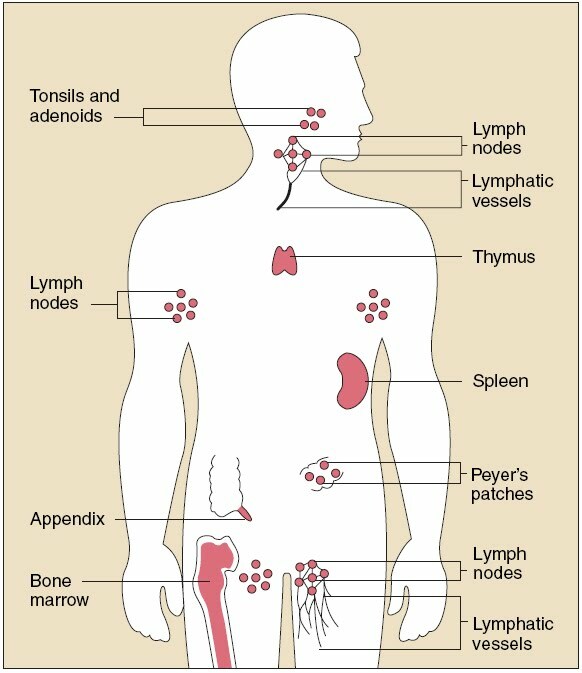 I was reminded of all this, having remembered about “lymph” only vaguely from my biology classes in high school, by my friend Helena Janlöv-Remnerud. Helena is a trained nurse, entrepreneur, teacher and authority in lymphodema therapy. Because we have a mutual friend in the USA, we met several years ago and found we had interests in common. What is lymphodema, and why does a person need therapy for this condition? The simplest way to describe lymphodema (or, more scientifically, lymphodoema) is an abnormal swelling of the limbs and other parts of the body. The most extreme example of this condition outside of a hospital will be the person whose legs seem like those of an elephant, hence the term elephantiasis, used in unusually serious cases where parasitic worms have invaded the lymphatics system, a disease usually found in the tropics. Most commonly in the temperate zones, lymphodema is the result of acute trauma to the body, including deep surgical operations such as for cancer, and due to the effects other diseases such as diabetes. Helena has had, for a number of years, her own lymphodema clinic in central Stockholm and is currently preparing for a move to a larger, multi-specialty clinic near a major medical center just north of the city center: Olivia Rehabilitering (click on “Lymfödemrehab” to see Helena’s clinic). I attended an open house for the clinic which will open for business in early 2010, and received a guided tour and lecture on the subject of Helena’s expertise. She likes to use the metaphor of a sewer system to describe the lymphatics system. This analogy appeals to me, my having been trained in public health and perceiving the hidden sewer systems of our cities and towns as the platform upon which we are able to successfully build our civilization. Think of the great water and sewer works built by the Ancient Romans. The lymphatic fluid takes all the waste products away from your tissues. As it moves toward its final destination in the blood stream, it passes through the analysis stations of the lymph nodes where bacteria and other harmful micro-organisms are detected. An alarm goes off in the lymph nodes that signals the production of warriors to attack them. The residue will be taken care of by the cleansing processes of the bloodstream: the liver, the kidneys and the spleen. All the output of the lymphatic system is poured into the venous blood system at two large veins under your collar bones, the subclavian veins. As the blood passes through the kidneys some waste products are done away with through bladder and the urine. When the blood passes through the liver other waste (like toxins) is discarded of through the bowel. The spleen mainly takes care of old erythrocytes (red blood cells); it also part of the immune system. Helena recently delivered a paper to Svenska Ödemförbundet (Swedish Edema Association) on lymphoedema assessment and management in Flinders Medical Centre in New South Wales, Austrlia. Another question you might ask is: how can the lymph fluids circulate if there is no “heart” attached to the system? There is peristaltic action in the lymph vessels, but another vital method is through the movement of your body, especially the legs. This is one reason why walking is so important for your health—to keep the lymphatics flowing and flushing out the poisons and infectious residue from your body. What I hope to leave you with is an appreciation for a seldom mentioned system of your body that deserves equal billing with your blood system. This entry was posted in Science & the Sciences and tagged arterial blood system, Circulatory system, Helena Janlöv-Remnerud, Lymph node, Lymphedema, Lymphoid system, macrophages, Olivia Rehabilitering, Svenska Ödemförbundet, venous blood system. Bookmark the permalink.